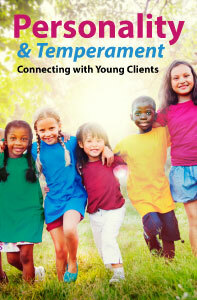 Personality and Temperament: Connecting with Young Clients is a new 3-hour online continuing education (CE/CEU) course that demonstrates how differences in personality and temperament impact how children behave, and how adults communicate and connect with them. Understanding differences in temperament and personality among adults and children will ultimately assist us in developing better relationships with our clients and enhancing therapy interventions, plans, and goals. Within the context of each type, this course will describe motivators that are type-specific, behavioral “triggers,” strategies and techniques for engaging children’s cooperation, and ways to free children from negative roles. ASHA credit expires 8/02/2021. ASHA CEUs are awarded by the ASHA CE Registry upon receipt of the quarterly completion report from the ASHA Approved CE Provider (#AAUM). Please note that the date that appears on ASHA transcripts is the last day of the quarter in which the course was completed. This entry was posted in CE Courses, Speech-Language Pathology CEUs and tagged @pdresources.org, ASHA, ASHA CEU, CE, CEUs, continuing education, New Online ASHA CEU Course, Online Courses, Personality and Temperament, Personality and Temperament: Connecting with Young Clients, Professional Development Resources, SLPs, Speech Language Pathology, Speech-Language Pathologists by Gina Gunderson. Bookmark the permalink.